It may just be a spooky coincidence but all three of the performers from the horribly funny The League of Gentlemen have been appearing on the London stage in recent weeks. Steve Pemberton has just opened in Terry Johnson’s Dead Funny at the Vaudeville, Reece Shearsmith co-stars in Ronald Harwood’s The Dresser at the Duke of York’s (see our review) and Mark Gatiss has just finished playing in Mart Crowley’s The Boys in the Band at the Park Theatre (see our review). In a sense, they are simply returning to their roots, as The League of Gentlemen started out in the theatre in 1995 (winning the Perrier Award for comedy at the Edinburgh Festival Fringe). It then moved to radio (winning a Sony Award) before finding fame on TV with three series plus a Christmas special in 1999‒2002, followed by the film The League of Gentlemen’s Apocalypse. It returned to the theatre with a tour, leading to the West End, first in 2000/2001 with A Local Show For Local People, and then with the pantomime-style The League of Gentlemen Are Behind You! in 2005. Despite rumours of a small-screen comeback, that was their last bow as an ensemble. Since the grotesque group broke up, as well as doing a lot of TV work (with Shearsmith and Pemberton collaborating in the even more macabre thriller sitcom Psychoville in 2009‒11 and in the black-comedy anthology series Inside No. 9 in 2014‒15), each of them individually has become an accomplished theatre actor. The versatile Pemberton has performed in a couple of musicals, The Drowsy Chaperone and The 25th Annual Putnam County Spelling Bee, as well as Oliver Goldsmith’s classic 18th-century comedy of manners She Stoops to Conquer. In the painfully humorous Dead Funny he plays repressed homosexual Brian, one of a group of immature men running a nerdy society paying homage to ‘golden age’ comedians such as Tony Hancock, Norman Wisdom, Frankie Howerd and the Carry On team. He gives a brilliant performance that mixes pathos with laugh-out-loud moments as someone caught in the crossfire — literally, with custard pies — of two couples whose marriages are in trouble. It also includes doing a pretty neat Benny Hill impression in his persona of the beret-wearing, saluting Fred Scuttle. Shearsmith has appeared in two West End musicals (The Producers and Betty Blue Eyes) as well as playing a typical comically creepy character Syd in Martin McDonagh’s Hangmen, which won the Olivier Award for Best New Play for 2015. In backstage drama The Dresser, his character Norman is the camp, protective dresser to Sir (played by Ken Stott), a Shakespearean actor-manager of the old school past his sell-by date (based on Sir Donald Wolfit, for whom Harwood performed the same role). 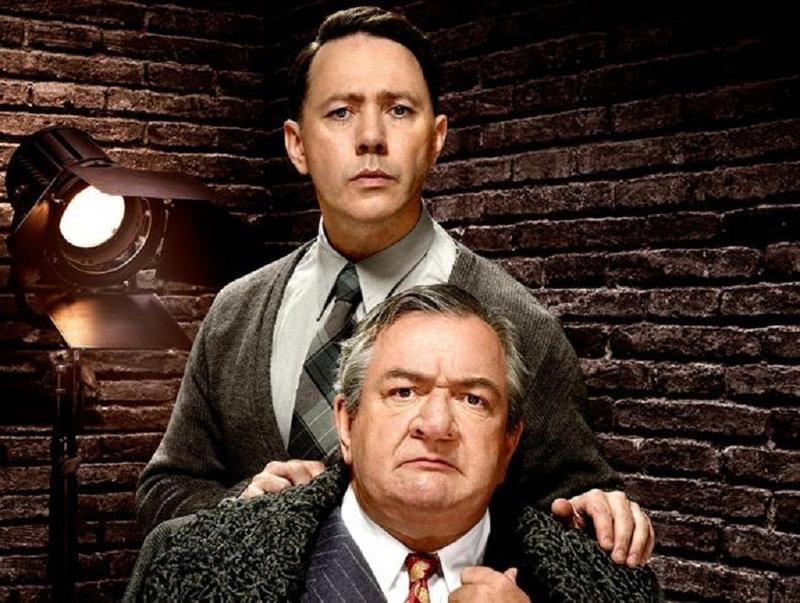 Reece Shearsmith and Ken Stott in The Dresser. When he hasn’t been busy acting and writing for TV in the likes of Doctor Who and Sherlock, Gatiss has also made an impact in stage plays, including Alan Ayckbourn’s Season’s Greetings at the National Theatre and Farquhar’s Restoration comedy The Recruiting Officer at the Donmar Warehouse. He was nominated for an Olivier Award for Best Actor in a Supporting Role for playing Charles I in Howard Brenton’s play 55 Days at Hampstead Theatre, and then won the same award for his performance in Three Days in the Country, Patrick Marber's take on Turgenev at the National last year. His latest role was in the ground-breaking 1968 New York comedy-drama The Boys in the Band – the first play to put openly gay characters centre stage, which was written just before the Stonewall Riots and the start of gay liberation – where he played bitchy birthday boy Harold. The fourth member of The League of Gentlemen, non-performing writer Jeremy Dyson, had a big stage hit in recent years when he co-wrote Ghost Stories. Continuing in the horror vein of The League of Gentlemen and shrouded in secrecy, it was notorious for its scary special effects that had audiences jumping out of their skins. 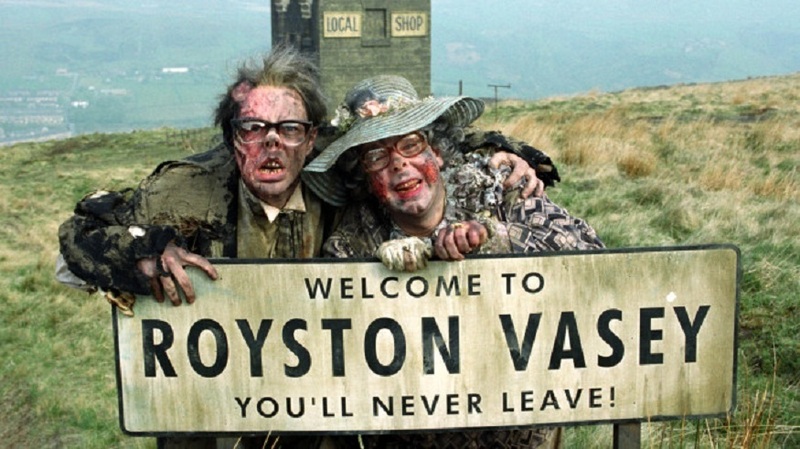 In fact, despite the warning on the town sign (above), not only have the four gentlemen been able to leave Royston Vasey, they have all gone on to flourish in the theatre in their different ways. 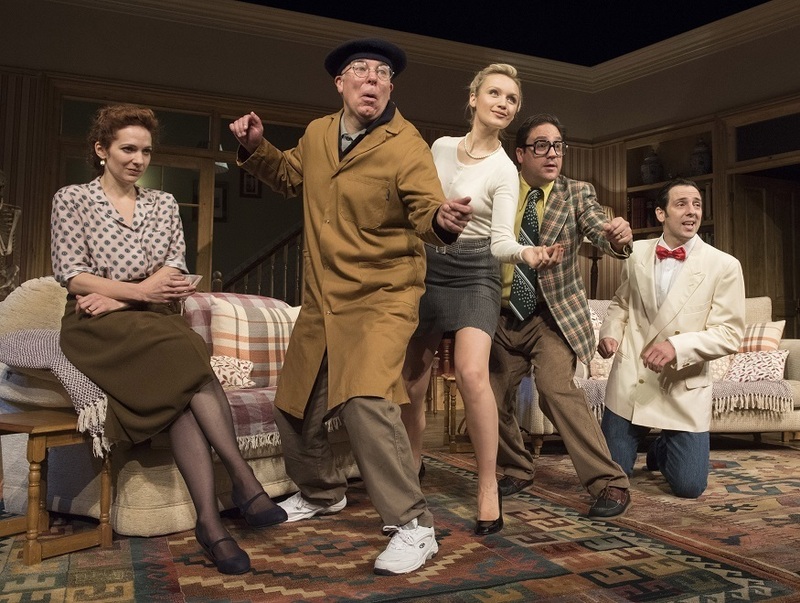 Dead Funny is on at the Vaudeville Theatre until 4 February. The Dresser is on at the Duke of York's Theatre until 14 January.